Enjoy the top 1 famous quotes, sayings and quotations by Gamal El-Ghitani. 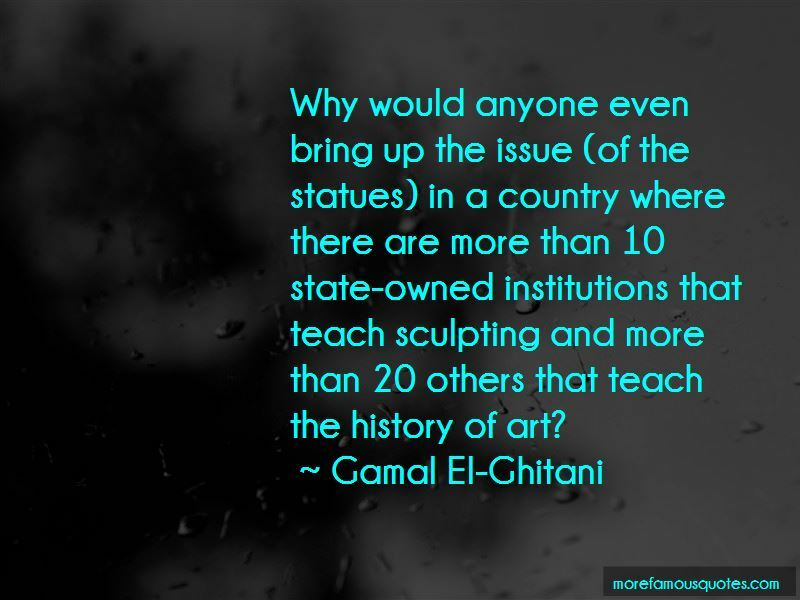 Why would anyone even bring up the issue (of the statues) in a country where there are more than 10 state-owned institutions that teach sculpting and more than 20 others that teach the history of art? Want to see more pictures of Gamal El-Ghitani quotes? Click on image of Gamal El-Ghitani quotes to view full size.